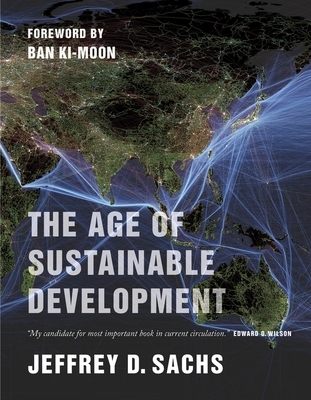 Home » 112th: Jeffrey Sachs' "The Age of Sustainable Development"
112th: Jeffrey Sachs' "The Age of Sustainable Development"
Please join us on Tuesday, April 21st, at 7pm for a reading and discussion with Jeffrey Sachs, author of The Age of Sustainable Development. Jeffrey D. Sachs is Director of The Earth Institute, Quetelet Professor of Sustainable Development, and Professor of Health Policy and Management at Columbia University. One of the most famous development economists in the world, Prof. Sachs has been Advisor to several governments in Asia, Africa, Latin America, Eastern Europe, and the former Soviet Union. He was named one of the 100 most infl uential people in the world by "Time "magazine in 2004 and 2005. Currently Special Advisor to United Nations Secretary-General Ban Kimoon, he was previously Director of the UN Millennium Project and Special Advisor to UN Secretary-General Kofi Annan on the Millennium Development Goals. He was awarded the Padma Bhushan in 2007. He is author of the bestseller "The End of Poverty "(2006) and "Common Wealth "(2008), and co-author of "Macroeconomics in the Global Economy "(1993), and co-editor of "India in the Era of Economic Reforms "(1999).